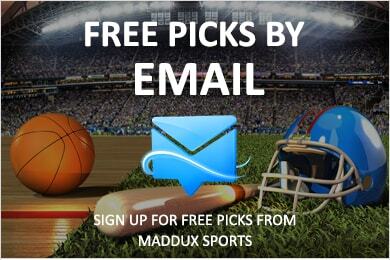 Welcome to Maddux Sports’ free MLB Playoff Preview. In this section you’ll find an analysis of each team’s pitching, hitting and defense. You’ll also get a summary of each first-round match-up. The American League series between the upstart Tigers and the perennial Yankees should be exciting and unpredictable. Detroit has some of the best pitching in the league, while New York’s offense can put numbers on the board like no other. Will the Yanks finally find their way to a Championship in the 21st century? Can Tiger Manager Jim Leyland do what he’s done in the past with Pittsburgh and Florida? The winners of the Central, the Minnesota Twins, will enjoy home field advantage as they take on the Oakland A’s. This season, Minnesota fields one of the best teams it’s seen in years, while Oakland is powered by Frank Thomas’ comeback year. The Oakland pitching staff will have their hands full with the hot hitting Twins. Minnesota has Johan Santana, perhaps the best starter in the AL, but they’ve also got some holes in their rotation. Can the guys from the Twin Cities overcome their inconsistencies? In the National League, the streaking Los Angeles Dodgers make their way to New York to play the Mets. Both of these teams put together winning seasons and earned their way into the playoffs with reconstituted squads. The Mets will be without ace Pedro Martinez but still have a tough rotation. Both teams sport strong ERA’s, with the Mets shutting down hitters more consistently. Los Angeles has compiled the best batting average in the Senior Circuit, but New York can play long ball better than any team in the NLCS. The club from New York comes in well rested, while the Dodgers enter the fray on a roll. The Saint Louis Cardinals, as usual, are in the hunt for the world championship. San Diego, the Wild Card winner, actually has a better record than the Cards, the team that won the NL Central. St. Louis is the better hitting team but encountered a late season swoon, almost losing their division to Houston. San Diego’s pitching dominated the league, leading in ERA, opponent batting average and saves. It’s the classic hitting versus pitching contest. For a more in-depth look at each team be sure to check out Maddux Sports’ series previews by clicking the links below.